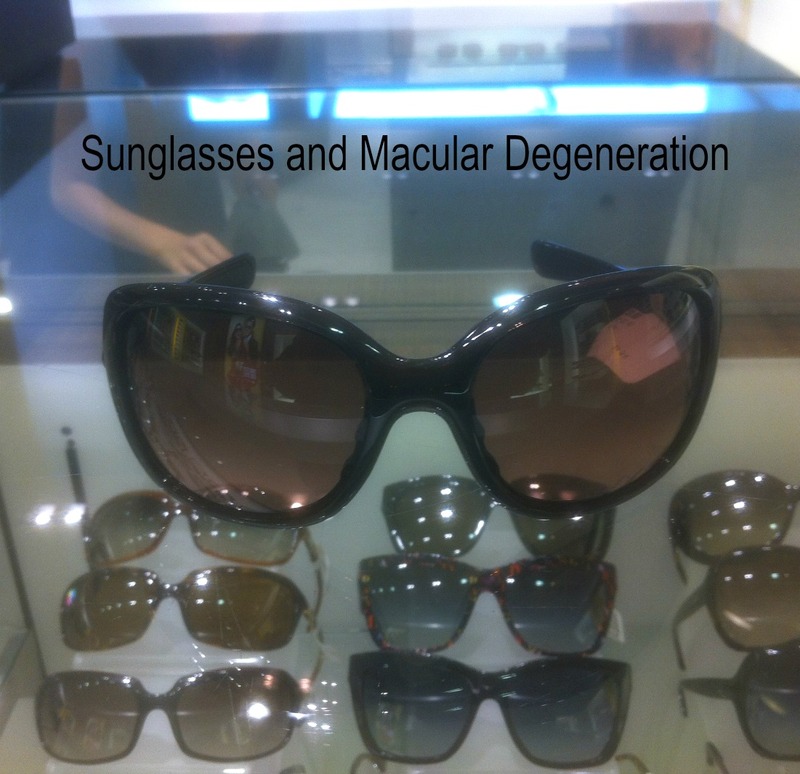 Sunglasses and macular degeneration - no big surprise here. Unprotected sun exposure produces free radicals, as does pesticides, car exhaust, cigarette smoke and household cleaners. The right sunglasses can not only protect our eyes, they can also enhance contrast and visibility. Remember, the health of your eye is also an indicator of the health of the rest of your body. One of the largest contributors to aging is the process of oxidation. "An imbalance between free radicals created by oxidation reactions and the antioxidants that neutralize them is one of the common threads of cause and effect this is woven through all the major eye diseases and nearly all of the disabilities and diseases we associate with aging." Sunglasses as it relates to macular degeneration are especially relevant because the retinal cells and the eye lenses are very vulnerable to the damages of oxidization since they are exposed to ultraviolet light. Sunglasses should block all UVA, UVB, and UVC rays. Your glasses should be labeled 100% UV protection. Look for polarized lenses to reduce glare. 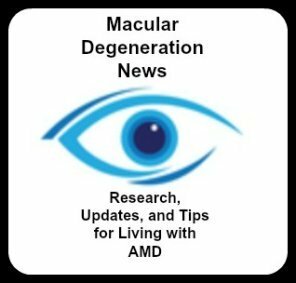 An article called Sunlight and the 10-Year Incidence of Age-Related Maculopathy found in Arch Ophthalmol. 2004;122:750-757 found that, "participants exposed to the summer sun for more than 5 hours a day during their teens, in their 30s, and at the baseline examination were at a higher risk of developing increased retinal pigment and early age related macular degeneration by 10 years than those exposed less than 2 hours per day during the same periods." However the study also found that those who had the highest summer sun exposure in their teens and 30's but used hats and sunglasses at least half the time had a decreased risk of developing soft drusen and retinal pigment epithelial depigmentation. The authors reported that, "Consistent with results from the baseline and 5-year follow-up examinations, significant associations were found between extended exposure to the summer sun and the 10-year incidence of early ARM and increased retinal pigment." That is why it is so important to protect our eyes with sunglasses that provide 100% UV-A and UV-B protection. The darker the sunglasses, does not necessarily mean that they are better, nor does the fact that some sunglasses are more expensive than others. Blue light is especially damaging to the retina. Blue light waves are wavelengths from 400-500 nanometers and are the waves that give the sky its blue color. Sunglasses that offer protection from blue light, like the Eagle Eyes sunglasses are beneficial in several ways. Glasses that are tinted orange or amber block blue light. Other colored tinted lenses let part of the blue spectrum through. This type of sunglasses also helps reduce glare and does not make the world darker - so things do appear more visible because of the brightness. Do you hate buying prescription sunglasses? Especially when your prescription changes? Trying to find something more stylish than the oversized glasses? Over-prescription polarized sunglasses are designed to fit over a wide range of prescription eyewear frame sizes and shapes, saving you money from having to purchase prescription sunglasses. 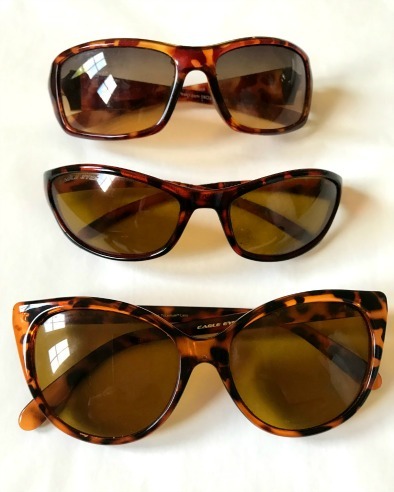 FITOVERS® are over prescription sunglasses that come in different sizes to fit different glass frames so you don't need to buy the huge over sized ones. They are a much less expensive option. They offer a variety of styles with reflective lenses so that no one can even tell that you are wearing glasses underneath. These over prescription sunglasses come in different sizes to fit different glass frames so you don't need to buy the huge over sized frames. 1. A fit that is designed to be comfortable and stylish to fit over your prescription eye glasses. A flash mirror treatment reflects light away and is especially helpful in bright light situations. Flash-Reflect™ gives the lenses a glass-like appearance and hides your prescription eyewear. Be sure to pick an amber/yellow lens to block blue light. Amber is a blue blocking tint which does cause some color distortion but enhances contrast. Contrast sensitivity is diminished in those with macular degeneration. The amber tint also provides the benefits of improved depth perception and objects look more defined. The glasses provided protection from the sides and a brow bar prevents light from coming in at the top as well. Effectively eliminate glare with polarized lenses. For those with macular degeneration, it is important to reduce glare as much as possible for better vision. 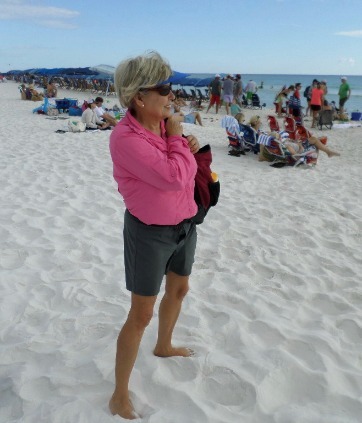 Prescription sunglasses can cost as much as $400, while FITOVERS® cost much less. Fit over sunglasses offer all three of these features. The polarized lens eliminates harsh glare while filtering out 100% of UV light, the wrap around shape prevents light from entering the sides, and amber tinted lenses block blue light. Wrap around sunglasses offer several features that can benefit those with macular degeneration and experience light sensitivity. Glare from the sun can be especially troubling for those with AMD. Some even complain that the bright sun hurts their eyes while at the same time interfering with their vision. 1. "Glare is reduced by cutting out UV and blue light by a yellow or amber tint which absorbs blue light." 2. 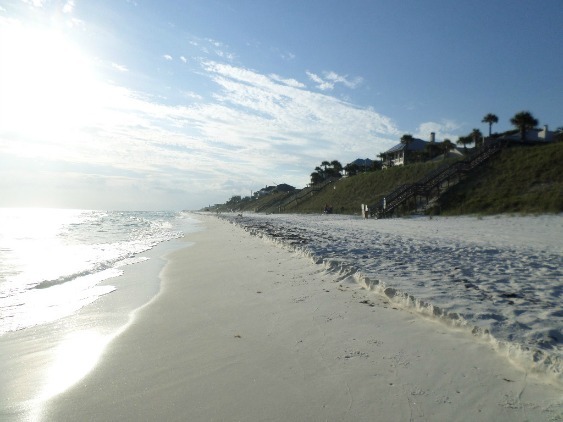 "Polarization combined with a tint, reduces the glare reflected off of horizontal surfaces." 3. "Glasses with tinted side shields help to reduce light which enters from the sides." Standard sunglasses can allow up to 40% more light to reach the eyes because they do not provide protection from the top, bottom and sides. Provide protection from uv light by shielding your eyes from reflected light coming from the front, sides, top and bottom. Total coverage from all angles. Noir offers wrap around glasses that prevent UV light from entering the sides. The amber lens provide extra protection from the damaging effects of blue light. Get the perfect combination of low glare and high contrast. High quality lenses mean that images appear sharp and distinct. If you find yourself in any of these circumstances consider the importance and relationship of sunglasses and macular degeneration. 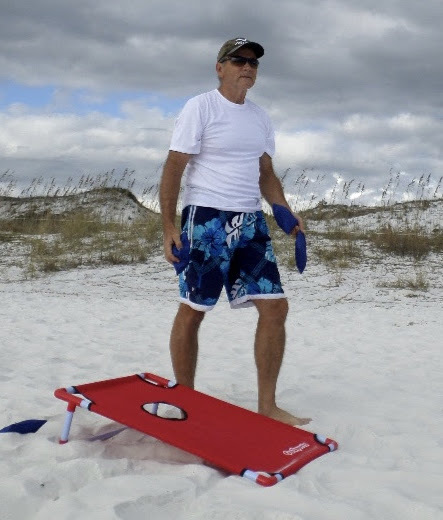 √ Those who play outdoors like golfers, runners, tennis players, and beach goers. √ Those who are taking photosensitizing drugs such as tranquilizers, diuretics, oral contraceptives, antibiotics, anti-diabetic and anti-hypertensive drugs medications. √ Those with light colored eyes are even more susceptible to damage from sunlight because they have less melanin, which is a protective factor, in the back of their eyes. √ Those in certain light environments. For example, if you work in an environment which is brightly lit with fluorescent light fixtures or if you spend hours in front of a computer terminal. √ It is just as important to protect your eyes with sunglasses on a cloudy day as it is on a sunny day. √ The most damaging sun rays occur from 10:00am to 4:00 PM. Unprotected sun exposure produces free radicals which can lead to the development of eye cataracts and age related macular degeneration. Do more than just protect your eyes from UV light or blue light damage, reduce glare and increase contrast for better vision - outdoors or indoors.